In modern living spaces, the kitchen is the heart of the home – a place not only for cooking but also for relaxation, entertainment and spending time with family. When it comes to renovating this special place, it’s important to put time and care into the design to achieve the results you seek. Hiring a professional kitchen designer will help you accomplish your goals. Kitchen remodeling is more than replacing cabinet doors or adding a fresh coat of paint. 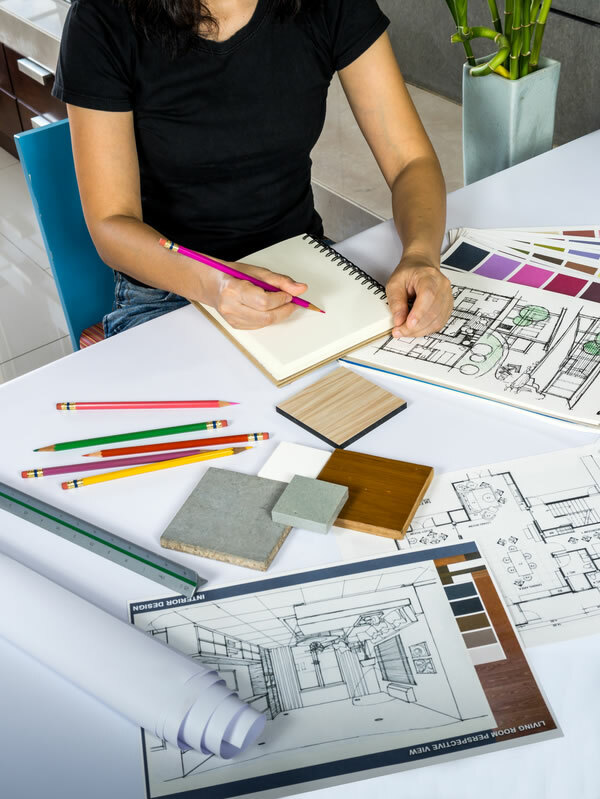 Good design involves critical decisions about layout, styles, materials, architectural modifications and plumbing and electrical configurations. A professional kitchen designer has the expertise to coordinate these components. They will refer you to contractors, help you pick out products and create a stylish, cohesive design that is unique to your space. As we discussed in our previous blog, How to Begin a Kitchen Remodel, planning a kitchen renovation involves several steps. It requires choosing products and materials that reflect your tastes and needs. It also includes setting a budget and working with professionals who can bring your vision to life. Regardless of the size of your kitchen, configuring a new design can be challenging without input from an expert. Having someone by your side who not only understands your needs in a practical sense but also shares enthusiasm for your project is invaluable. Partnering with a skilled professional greatly improves your chances of achieving the kitchen you desire. Your first consultation with a kitchen designer will be a time to discuss your project and share ideas. Beyond picking cabinet styles and colors, your designer may also show you cabinet options, such as framed vs. frameless construction and custom features that may be of interest to you. With your budget and timeline in mind, your designer can help narrow down preferences and clarify in which direction to proceed. Good design is not just about style and aesthetics. The ergonomic qualities of the space are just as important. Ensuring you’re not walking too far between a fridge and oven or dishwasher and silverware drawer is essential to an efficient work space. Having ample storage and comfortable seating are also essential points. Your designer will help configure the best solutions for all of your needs. Planning a new kitchen is an ongoing process. The initial design will likely go through a number of changes before completion. Your designer will work closely with you to ensure all points of concern are addressed and that you are 100% satisfied before details are finalized. They will communicate with your contractor, ensure quality installation of your cabinets and follow through with any outstanding items. Kitchen renovation is a complex undertaking. Hiring a professional kitchen designer to partner with you is invaluable. From the initial planning process through completion, your designer will listen to your ideas, offer suggestions and navigate challenges. Most importantly, they will make sure your kitchen project is a success.